Beach houses or water front property is becoming famous. They are good for return on investment and yield a good source of rental incomes. Many people buy beach front properties and leave it for rent in the season. 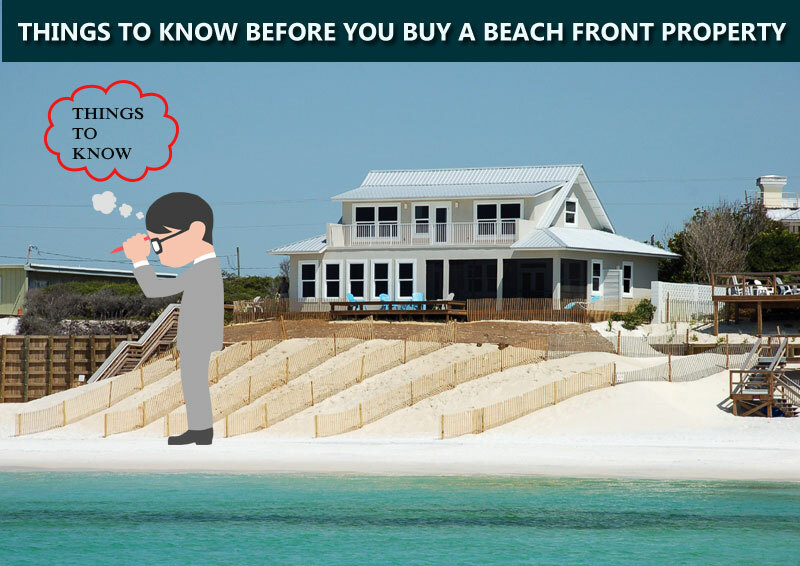 But, there are a few things that you should know before you buy a beach front property. In this article Dc Fawcett reviews things you should know before you buy a beach front property. Since water front properties are highly in demand, you will have to face a lot of competition and the land on which it rests is much more worth than the property itself. So, determine whether the waterfront property falls within your budget. People who live in waterfront properties are more prone to storm and hurricanes. They can corrode easily due to salts present in the water. Water bodies are a multiplying ground for insects. Such areas are infested with reptiles, frogs, snakes, scorpions and other deadly species. Mosquitoes are found in abundance near water front properties. All these together pose a big risk for residing near waterfront properties. So, do a research to find out that your vacation home is on the good side of the shoreline. Hurricane and food damage should be insured. Damage from wind and water should be covered separately as they are different from home insurance. Most of the time when the damage occurs due to floods and winds and you don’t possess the relevant insurance, you will not be reimbursed due to a general home owner’s insurance. Investing in a beach front property is very expensive and it is very crucial that it yields a good rental income for return on investment. Some markets currently feature lots of beach front homes and the homes are not much in demand right now. This only increases the cost of investing finally. So, do a careful study of the rental market before you decide to purchase a property. Beachfront properties appreciate well as compared to normal real estate properties in the same community or town. There is more property waiting to be developed rather than already existing beachfront properties. Waterfront views are supremely pleasing and enjoyable. They are of vital importance and you may want to enjoy those with top class windows of varying sizes and styles. You should also be ready for tree cutting and trimming the landscape around the property area to offer good views. This will call for shelling out money. Waterfront properties are great in terms of views and appreciation but at the same time they call for huge investments and risks. Read this review by Dc Fawcett before you buy a waterfront property.